Property owners are often times required by law to provide for the safety and security of their customers, visitors and guests. If an owner fails to adhere to this duty through inadequate lighting, broken locks or inadequate security guards, and someone is raped, battered or killed, then the owner may be charged with negligent security under premises liability law. Premises liability law refers to the set of laws which make the person who is in possession of the property responsible for certain injuries suffered by persons who are present on the premises. Generally, property owners or landlords must exercise reasonable care in the construction, management, and maintenance of all grounds and facilities. An owner may breach this duty by failing to provide adequate inspections to guard against dangerous conditions, concealing a known safety hazard or failing to provide adequate security against foreseeable crimes. Under common law, the duty of care owed by the owner varies depending on whether the person injured on the premises was an invitee, guest or trespasser with generally a higher duty of care for invitees and licensees than trespassers. However, some jurisdictions have adopted the rule that an owner or occupier of land is held to a duty of reasonable care under all circumstances. But in civil liability cases, the visitor’s status may be a relevant factor in determining whether the injury was foreseeable and the owner was negligent. If you have been invited to the property for business purposes such as being a customer at a store or a guest at an amusement park, then that will likely carry more weight or sympathy than if you’re harmed while trespassing. Often times injuries sustained through negligent security are very serious violent crimes that may lead to post-traumatic stress disorder, physical disability, disfigurement, or death. If you have suffered a bodily injury or have lost a loved one due to a property or landowner’s negligence, then you may be able to recover financial compensation for any losses sustained. Some of these losses may include medical expenses, pain and suffering, lost time from work, and funeral expenses. 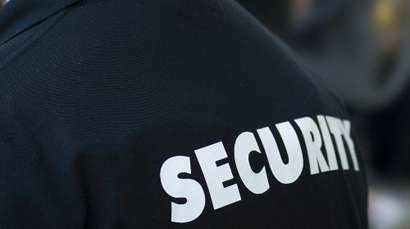 To successfully litigate a negligent security case, your attorney will have to prove that the owner should have been aware of the danger but failed to act. This may involve examining crime statistics, photos, witness statements, event history, and other records to determine whether the incident was foreseeable. An experienced law firm may help you gather evidence and file a claim. At Swope, Rodante P.A., our attorneys have fought large companies if their owner’s negligence caused catastrophic harm to real people such as brain and spinal cord injuries or a loved one’s death. If you would like to speak with a representative about your case, please contact us.